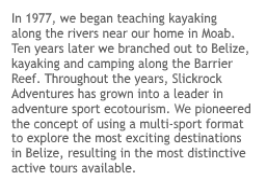 Kayaking is where we started; teaching river running in the American West. 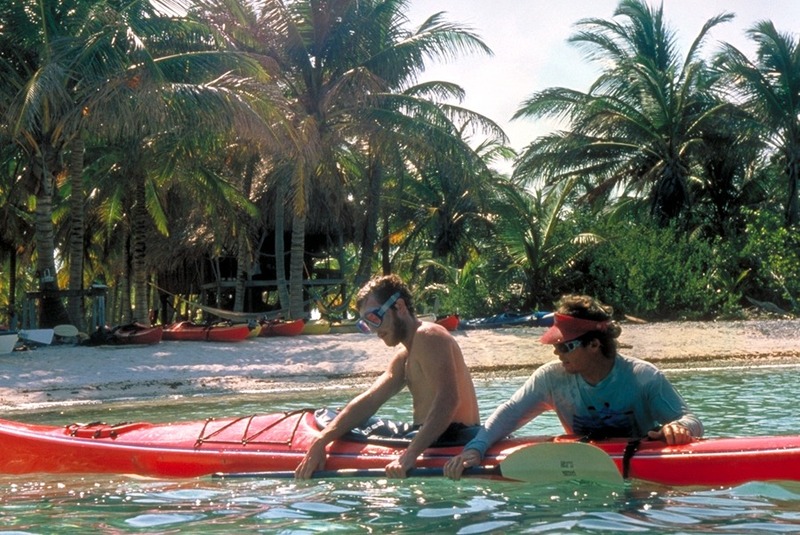 We migrated from Utah to Belize and from rivers to the ocean, and then on to multiple Belize kayak tours: sea kayaking, cave kayaking, surf kayaking, and kayak fishing. Each sport requires a different kayak… come kayaking with us, a company who has specialized in kayaking since 1977. Visit our Belize Sports page for a list of all the sports we offer. 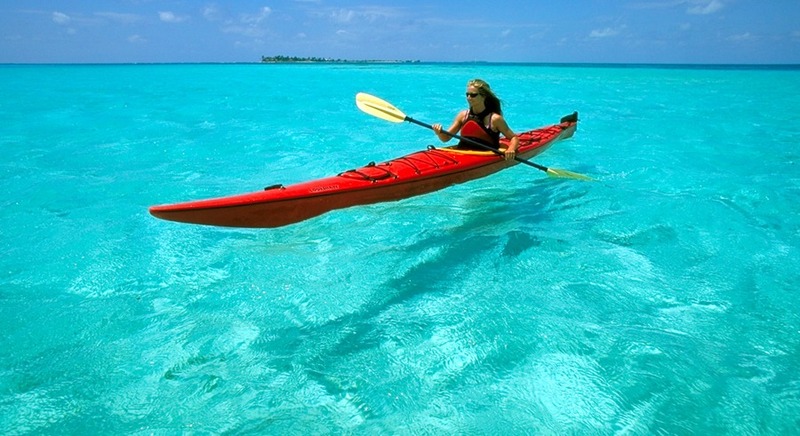 Paddling the clear, 80-degree waters of the Caribbean is every kayaker’s dream. Our private island at Glover’s Atoll is perched on a ring of coral surrounded by the open sea, providing an unbeatable setting to learn and practice sea kayaking. We paddle daily to snorkel from our boats and to visit nearby islands. 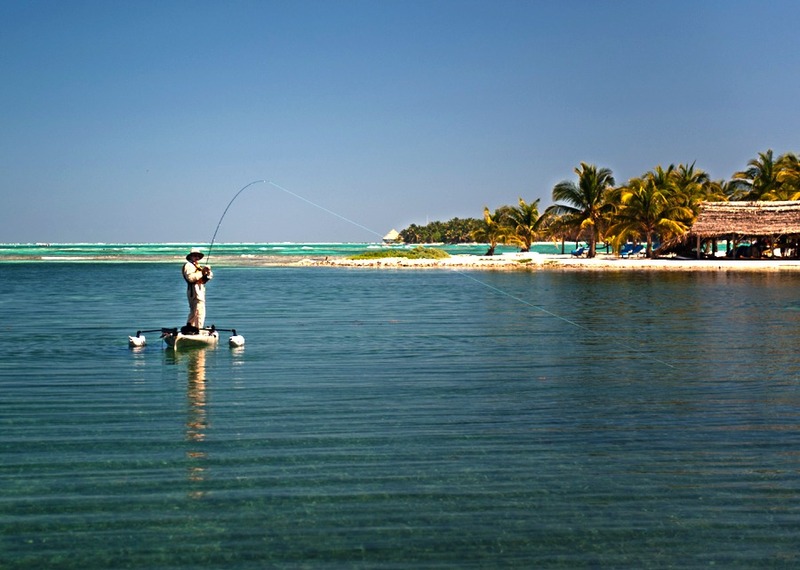 When we say “Kayak Belize” we mean more than just sea kayaking! Our eastern shore is exposed to prevailing trade winds, which create ideal conditions for surf and a great ride for our surf kayaks. Watching the action from our surf dock is a sport in itself as the surfers provide hours of entertainment for those relaxing with a cold soda or beer. Kayak fly-fishing is the hot new sport for dedicated anglers. Fishermen who yearn to fish at Glover’s can now use our top-of-the-line fishing kayaks as an alternative to wading in or fishing off our dock. Fishing kayaks are wider than regular kayaks to prevent them from tipping over while casting, and they also use anchors and pontoons to stabilize the craft when fishing. Our island is the perfect place to learn the kayak Eskimo roll. In addition to all of the other sports we offer, our staff can teach you to roll easily with the perfect conditions we have on the island. In addition to 80 degree water, we teach rolling while you wear your snorkel mask. A very comfortable way to learn! We run two rivers by kayak. First we paddle the Mopan. 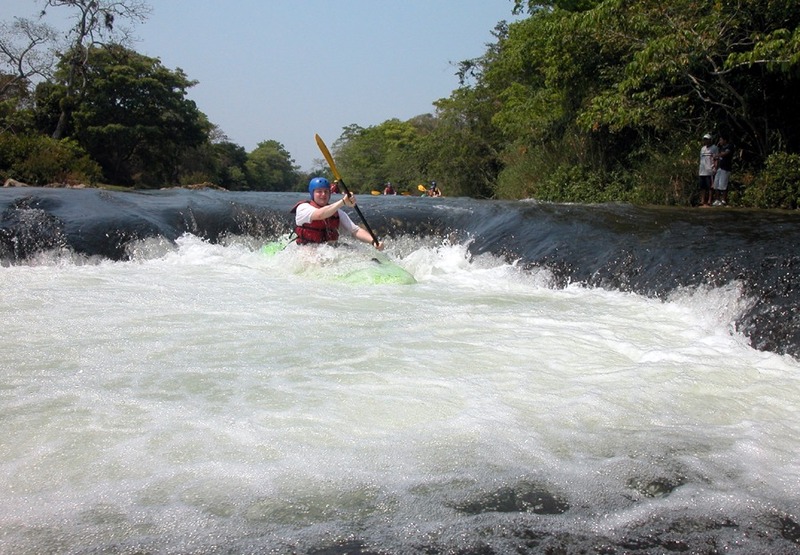 This stretch contains all the perfect elements in which to learn whitewater kayaking. 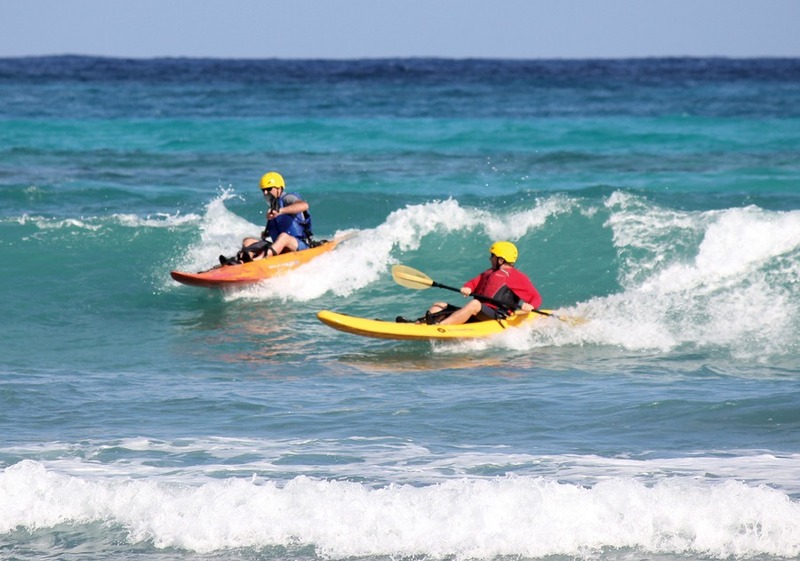 Complete instruction in the use of our whitewater kayaks is covered before setting out, with no experience required. 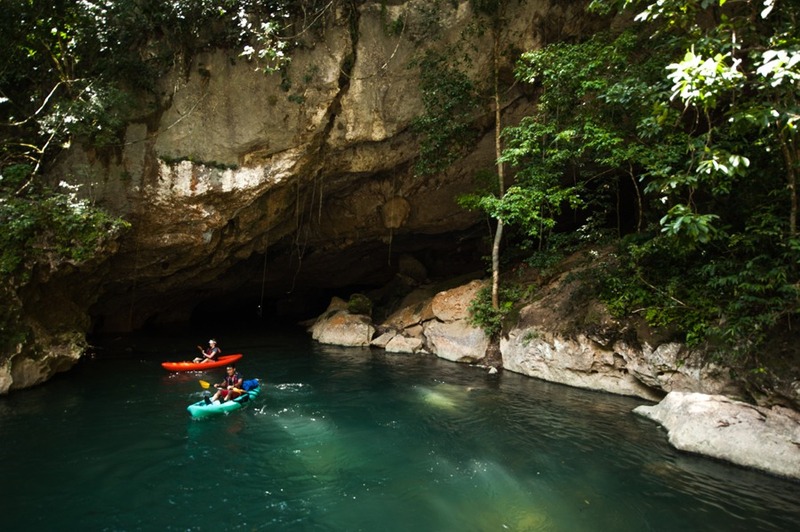 We also paddle underground through three miles of caverns in four different caves on the Caves Branch River. We run this river by headlamp! Our journey through the darkness is punctuated by views through collapsed windows into the surrounding jungle, with a one-quarter-mile portage through the jungle to get to the next entrance.